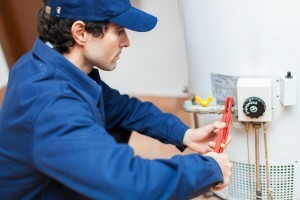 As a member of the plumbing, heating and cooling, or electrical industry, managing your reputation in the community is a significant portion of the day-to-day. Running a business has become harder than it was in the past, mostly due to the wide number of online reviews and forums available for customers to comment or review your business and services. Managing these reviews and your overall reputation is vital to bringing in new clientele and truly making a difference in the community. A large part of today’s technology-focused world is the sheer amount of various services available to a business such as yours. There are services such as Nearby Now and Review Buzz that operate a little differently but significantly help. Nearby Now, for instance, offers the chance to receive more positive reviews, dominate local SEO, and has an easy, intuitive interface for mobile phones and computers – everything a growing business needs to succeed. The service also offers a unique leaderboard feature to pit employees against each other in a little friendly competition to see who receives the most positive reviews. Review Buzz, on the other hand, encourages customers to leave a review to help a business who has directly helped them with a service. The service is about providing feedback to a business and offering a way for new consumers to find helpful services nearby. It really challenges you to be the best possible electrician, plumber, or HVAC specialist. At Contractor 2020, our business is focused on helping your business. Our experienced team want nothing but the best, especially when it comes to reputation management. That is why we help you select the best service for your reviews and how to handle them. For help managing your reputation in a digital age, contact Contractor 2020 by calling (607) 770-8933. We would be happy to answer any questions or concerns you may have!